Apple iPhone 5 is expected to be rolled out in India on October 26 at an expected price ranging between Rs 46,000 to Rs 48,000 for the 16GB model. The 32GB variant is likely to be priced between Rs 51,000 to 53,000. The 64GB top variant of the iPhone 5 will bear a likely tag in the Rs 58,000-61,000 price band. When contacted, a company spokesperson refused to confirm the price or launch date. But the market, and even the carriers, are agog with speculation that October 26 is indeed the launch date for iPhone 5 in India. These prices too are tentative and based upon the expectations of the two major telecom operators. Apple sources claimed that the actual price tags will depend upon the prevailingforeign exchange rates around the launch. Apple has never disclosed the prices of its products or partners before the official launch. Sources say this time around the company is all set to broaden its retail strategy in India. This time, Apple will use its reseller network in India to directly retail the iPhone 5, just like it does with the iPad, iPod, notebooks and computers. Therefore, it may even break away from its carrier partners in India, Airtel and Aircel, who sold the previous iPhone models in India with their own plans. In India, only unlocked handsets are sold. If Apple launches the phone without any carrier partner in India, it will mean that users will have to select operators who provide nano-sim cards, which only the iPhone 5 uses at present. Sources at Vodafone India said the second biggest telecom operator in India already has a stock of nano-sims in place to meet the demand for the latest iPhone. Apple is also planning to provide specially-priced two-year warranty to iPhone 5 buyers. It should be noted that the price of iPhone 4S 64GB is around Rs 48,000 in the Indian market, the expected base price for the iPhone 5 16GB. The 16GB and 32GB versions of iPhone 4S currently cost around Rs 41,000 and Rs 45,000 in the country, respectively. 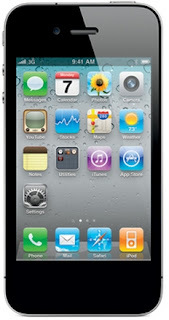 The price of the two-year-old iPhone 4 8GB has vbeen recently revised to Rs 28,300 by Apple.